From a music standpoint, we're lucky we have what we have -- a nationally recognized music scene populated by talented singer-songwriters with plenty of great venues at their fingertips. For this year's wrap-up, I originally intended to write a fire-and-brimstone end-of-the-world article that summarized how we're all going to drown in a sea of mediocre, American Idol-inspired pap music, while the dreams of a rising indie nation lies dashed and broken upon a shore of iPods. But you know what? I'm getting tired of all this bummer-filled news. Every day it's something else -- a band breaks up, a club closes, our local government does something else to screw things up. Add to that the impending Great Depression and a guy could give up hope altogether. Yeah, things are bad these days, but it could be a whole lot worse. From a music standpoint, we're lucky we have what we have -- a nationally recognized music scene populated by talented singer-songwriters with plenty of great venues at their fingertips. Do not lose hope, gentle reader. 1. Them Legal Blues -- The nature of all-ages shows changed forever when in mid-April the Omaha City Council enacted an ordinance that created a new category of businesses called "music venues." The ordinance said that designated bars with a fixed stage and lighting could allow those under the age of 18 to attend rock shows as long as they have a notarized parental consent form on file. All the major venues quickly signed up, and in the end, the new law probably didn't impact the scene that much. Ah, but Johnny Law didn't stop there. Omaha's smoking ban was expected to go into effect with the statewide ban at the beginning of '09. Bars got a surprise in mid-June when some judicial gymnastics put the ban in place in Omaha literally overnight, making smoke-holes like O'Leaver's and The Waiting Room smoke-free -- or else. Venue owners scrambled to figure out ways to create smokers' beer gardens, while those with no such options worried that the ban would kill their business. Six months later and the jury's still out. Meanwhile the Douglas County Health Department is registering an odd spike in pneumonia cases suffered by poor bastards forced to shiver in the 30-below-zero wind chill to get their fix. 2. Benson Rising -- If the opening of Slowdown and The Waiting Room changed the music landscape in '07, the emergence of Benson as a vibrant music center was the story of '08. Maple Street was turning into Omaha's version of Austin's 6th St. On any given weekend, there were quality shows at The Waiting Room, Mick's, The Barley St. Tavern, PS Collective, The Foundry, Espana, even hole-in-the-wall regulars bar Burke's Pub. The vibe culminated in two high-point events -- the Mid America Music Festival and the Omaha Entertainment Awards showcase-- nights that had the streets filled with drunks stumbling from venue to venue. Benson's future, however, was dealt a potentially devastating blow in early December when Mick's was sold to new owners who plan on dropping live music in '09. 3. The Eclipse of Saddle Creek -- No organization was more under siege this past year than Saddle Creek Records. First there was the music venue ordinance that took a stab at Slowdown -- a club designed for all-ages shows. Then Creek watched as two of its crown jewels -- Bright Eyes' Conor Oberst and The Faint -- flew the coop with their next records. 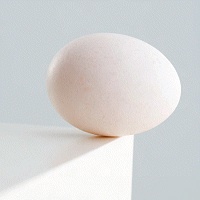 Conor released his self-titled solo album on Merge, while The Faint released Fasciinatiion on its own blank.wav label. 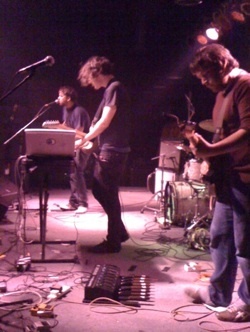 Creek countered by signing a number of new acts, including breakthrough band Tokyo Police Club. Next, the city announced plans for a new College World Series ballpark -- located in North Downtown. It looked like a homerun until the city changed its location and came up with a new design that turned the ballpark into an impenetrable fortress whose brick walls resembled a penitentiary -- from Slowdown's vantage point. NoDo's only hope is that neighborhood-friendly recommendations by the Urban Design Review Board become a reality. Can Saddle Creek survive another year like '08? 4. What Next Wave? -- As a generation of Saddle Creek bands entered their late 20s and 30s, a handful of musicians weaned on house shows at Hotel Frank began to emerge as the city's Next Wave of important indie bands. Spurred along by Slumber Party Records, which signed a distribution deal with Saddle Creek, hope sprang eternal for acts like Capgun Coup, Baby Walrus, Bear Country, Honeybee, The Family Radio, Hyannis and Talkin' Mountain. But as the year wore on, Slumber Party seemed to fall asleep, along with all those bands. Will they finally catch fire in '09? 5. The Great Depression and a New Hope -- We thought we were immune to the current economic malaise that has fallen over the rest of the country. We were wrong. Venues began complaining about attendance at shows. Bands gave up touring, leaving the road in droves. And forget about making a living off selling CDs -- those days were long gone. All hope for the future came in the shape of an Illinois Senator chosen to pull this country out of a Mariana Trench-sized rut. Can he do it before the music stops? 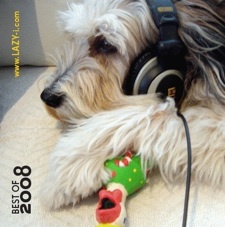 Win a copy of the Lazy-i Best of 2008 Compilation CD! All you have to do is e-mail me (tim@lazy-i.com) with your name and mailing address and you'll be entered in the drawing. Hurry! Deadline's Jan. 17! Check out the track listing. Silver Jews, Lookout Mountain, Lookout Sea (Drag City) -- Laid-back, rolling, countrified slacker rock by singer/storyteller David Berman, who sounds like the second coming of Johnny Cash, with his wife, Cassie, providing the June Carter harmonies. Conor Oberst, Conor Oberst (Merge) -- It differed from Bright Eyes in its minimal production, though it's far from stripped down (just Mogis-less). Song wise, it's not a stretch at all, though Oberst does seem more relaxed, even resolved to his role as the rambling "voice of his generation," whether he is or not. Brad Hoshaw, Live at Mick's Music & Bar (self-release) – Special not only because I was there when it was recorded, but because it captured Omaha's newest/best beardo-songwriter at his nonchalant best, assuming no one in the noisy crowd was listening, anyway. He was wrong. UUVVWWZ, self titled, (It Are Good) -- The vinyl-only recording (it comes with a CDR) captured a band whose sound owes as much to blues and psychedelic rock as New Wave punk. Call it next-gen post-modern, a natural continuation of a tradition that began with Talking Heads, Gang of Four and Siouxsie and the Banshees. From Lincoln with love. Titus Andronicus, Airing of Grievances (Troubleman Unlimited) – Mark my words, their off-kilter expletive-laced garage punk will change everything once it explodes Arcade Fire-style across the indie landscape (which it will). Sloppy but controlled, groundbreaking. Does It Offend You, Yeah?, You Have No Idea What You're Getting Yourself Into (Almost Gold) – Just plain fun data rock is a compost of !!! and Flock of Seagulls made for a dance floor built by The Faint. Someone, please keep this away from Madison Avenue before they ruin it for everyone. M83, Saturdays = Youth (Mute) – Shimmer and glow of "I Love the '80s" post-punk meets My Bloody Valentine and icky high-school crushes. Lush and trippy with a touch of choked-up sadness. Vampire Weekend, self-titled (XL) – What happens when goofy suburban kids sneak into dad's den and listen to his copy of Paul Simon's Graceland and realize dad may be a little cooler than they thought. Then they go into the garage and make their own version. One-upped Tokyo Police Club at its own game. Stephen Malkmus and the Jicks, Real Emotional Trash (Matador) -- Former Pavement frontman swerves dangerously close to jam-band land, or does he? You might think so after the 10-plus minute head-trip title track, but really, it's the same old Malkmus, the king of indie-slacker melodicism, the last man standing from the '90s, and as relevant as ever. Deerhunter, Microcastle (Kranky) – If Titus Andronicus is the new Arcade Fire than this is the new Interpol, or new Pixies. Spaced-out drone rock with a beat -- is there anything better? No. Neva Dinova, You May Already Be Dreaming (Saddle Creek) -- Shimmering, country-fied backbeat melodies with an electric rumble that underlies frontman/mastermind Jake Bellows' often dark, often desperate lyrics of love, loss and death. 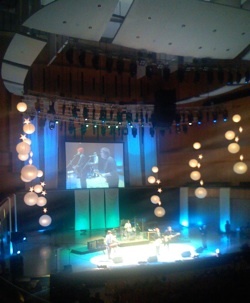 Coyote Bones at the OEA Awards at The Holland Jan. 3. Frightened Rabbit at The Waiting Room June 14. 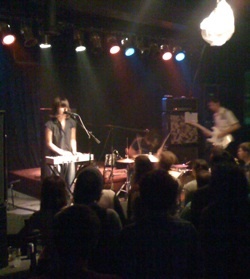 Times New Viking at The Waiting Room June 5. 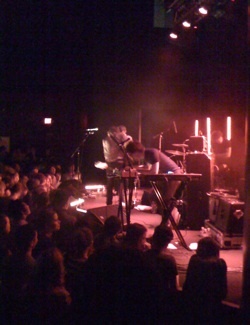 Tokyo Police Club at The Slowdown May 23 . The Faint at Sokol Auditorium Aug. 23. 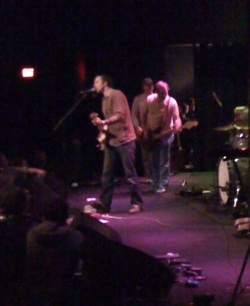 Neva Dinova at The Slowdown Dec. 27. There was a problem when I sat down to compile my list of the best shows of the year. Usually I go to well over 100 shows per annum, but this past year I only made it to around 80 (guess I'm getting old). That means I missed some doozies, including Stephen Malkmus and the Jicks, Cursive, Neko Case, Ra Ra Riot, Punk Rock Reunion, My Morning Jacket, The Night Marchers, Deerhoof, Broken Social Scene, Black Lips, Wolf Parade, and what I've been told was the best of all -- the Barack Obama rally at Slowdown with Conor Oberst, Jim James and M Ward. Brad Hoshaw at Mick's, Jan. 5 – I came to see someone else and left a Hoshaw fan. If you weren't there, you can always relive it on CD (see the above list). Daniel Johnston and the Rayguns, Slowdown, Feb. 9 – You never know what you're going to get when crazed genius Johnston comes to town. The highlight: When the crowd serenaded an absent Johnston with "Devil Town." Richard Thompson, Scottish Rite Hall, March 13 – A 100-minute set where Thompson once again proved why he's recognized as one of the best living guitarists (and songwriters) in the world. Neva Dinova, The Waiting Room, April 24 -- An arena-rock quality set that celebrated the release of You May Already Be Dreaming. Basia Bulat at Slowdown, May 24 – Bulat was the opener for Devotchka, who brought along a circus performer, but it was Basia who put on the real show. Sigur Rós at The Orpheum, June 11 – It wasn't the tornadoes (which delayed the show's start) but the band of quirky Icelanders who blew the roof off the Orpheum. Frightened Rabbit at The Waiting Room, June 14 -- Only around 70 were there to hear the rootsy, Celtic-sounding band revisit a style reminiscent of The Waterboys. The Good Life / Feist at Memorial Park, July 14 – Wherein Tim Kasher and his love for Obama gave the Omaha World Herald a lesson in the First Amendment. 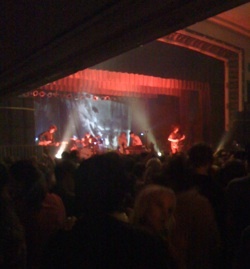 And Feist played the iPod song, too. The Faint at Sokol Auditorium, Aug. 23 – All Faint concerts are the same – hot, sweaty, crowded, loud, shiny dance parties. This one was no exception. Mid-American Music Festival, Benson, Sept. 8 – The festival without a purpose (or a pay scale for bands) proved you don't need a reason to have a good time. Okkervil River at The Slowdown, Sept. 13 – Will Sheff and Co. have come a long way since playing to 10 people at the Junction only a few years ago. Next stop, the Orpheum. Conor Oberst at The Anchor Inn, Sept. 20 -- Conor and opener Jenny Lewis were swell, but it was the venue that was the real star. One Percent needs to book more shows there this summer. Monotonix/Silver Jews at The Waiting Room, Oct. 8. The Jews were the headliners, but Monotonix stole the show, making their set a literal movable feast that ended up outside the club, with frontman Ami Shalev hanging from a traffic signal. David Byrne at The Holland Center, Oct. 17 – Byrne and his band of musicians, singers and dancers – all dressed in white -- didn't burn down the house as much as teach it how to dance. Criteria at The Waiting Room, Dec. 13 – It was a return show that felt like a swansong from a band that had its best live performance ever. Neva Dinova at Slowdown Dec. 27 -- It was a sort of farewell show for a band on an indefinite hiatus, but something tells me we haven't seen the last of Jake Bellows. Published in The Omaha Reader Dec. 31, 2008. Copyright 2008 Tim McMahan. All rights reserved.